Another great recital! I'm very proud of all my students and I'm grateful to all my friends for joining us for an afternoon of music-making. 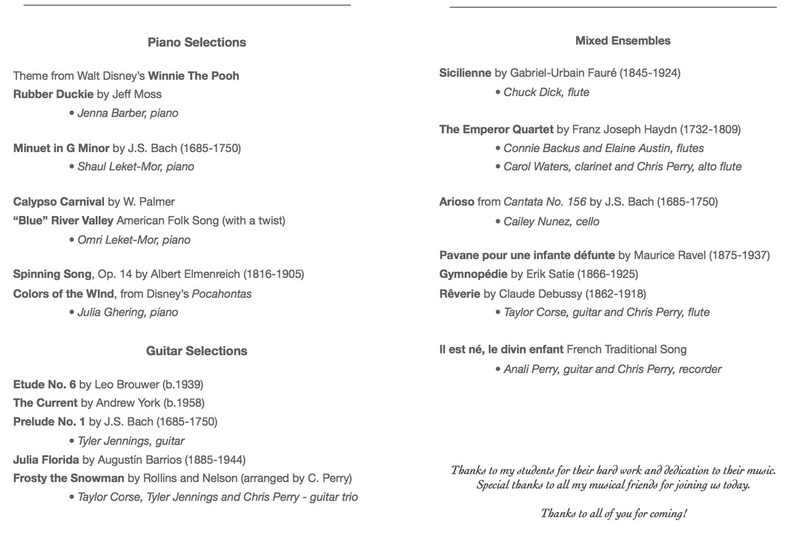 I've posted the flyer and program for the recital and, if you scroll down, you can take a look at the photos, videos and recordings too.